Last month, we announced some updates to MetaMask’s network efficiency. This month, we’ve shipped even more improvements to reduce our traffic to Infura and eliminate unnecessary requests. 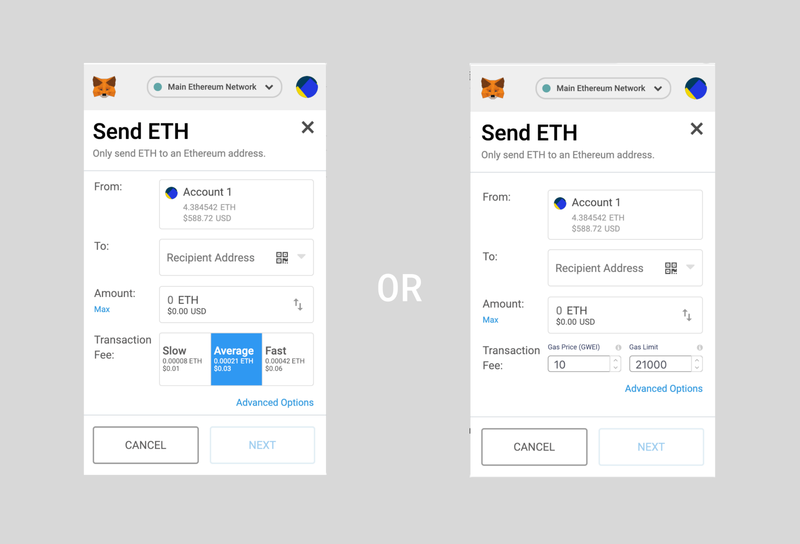 v6.1.0 includes a set of changes that bring MetaMask very close to going network silent while not in use, and early reports suggest we’ve reduced our overall number of requests by 50%. Laptop batteries around the world rejoice. MetaMask is a crucial tool for blockchain newcomers, traders, developers, and beyond. The qualitative feedback we get from these different user groups can vary widely. In pursuit of making more data-driven decisions in our UI, MetaMask will begin rolling out an opt-in metrics system starting next week. If you consent, we’ll record anonymized events to better understand the features users gravitate towards, which features go unused, how funnels leak, and so on. Our metrics collection takes a strong stance on user privacy: it will never collect public addresses, private keys, transaction IDs, or transaction hashes. We’ll also obfuscate the last nine digits of any IP addresses. Users can opt-out of metrics collection at any time. Last, MetaMask will never profit from sharing or selling your data, ever. We’ll use this anonymized data to inform our development and create a better MetaMask for all. We also look forward to sharing high-level data with the community! To read more, check out last week’s announcement. At long last, we’ve removed the old legacy interface from the MetaMask codebase. For a full list of all the things the current UI can do that the old one couldn’t, check out this support article. In addition to providing a better experience for users, this will simplify our testing suite and reduces our bundle size substantially. We received some great feedback from the community after announcing our plans to migrate users over to the new interface. In response, we’ve shipped the ability to turn on “advanced” gas editing, which adds plain text inputs to the Send and Confirm screens. While our simpler gas options work well for newer users, some veterans missed the no-click accessibility of granular gas control right on the confirmation page. If that sounds like something you’d like, you can find the toggle in your Settings menu. Toggle between these display options from your Settings menu. We’re still hard at work on MetaMask Mobile. As we get closer to launch, the team wants to make sure we’re delivering the best-in-class security you’ve come to expect. We’ve partnered with Least Authority to do a security audit on MetaMask Mobile and make sure we continue to provide a safe experience on the decentralized web. Results of the audit will be published in mid-March! Our light client team (codenamed Mustekala) is nearing completion of an MVP implementation of the KSN protocol. KSN is an open source protocol on top of libp2p that enables all kind of devices to share slices of the Ethereum Database, taking synchronization and reading to the next level. At the same time, the team is preparing for what comes next — maybe including a simple incentivization protocol on top of KSN. Stay tuned! MetaMask v6.1.0 is out and auto-updating in browsers near you. Next time you pop it open, check out some of the improvements listed below. 💥 5k lines of code added and 21k deleted (RIP old UI).